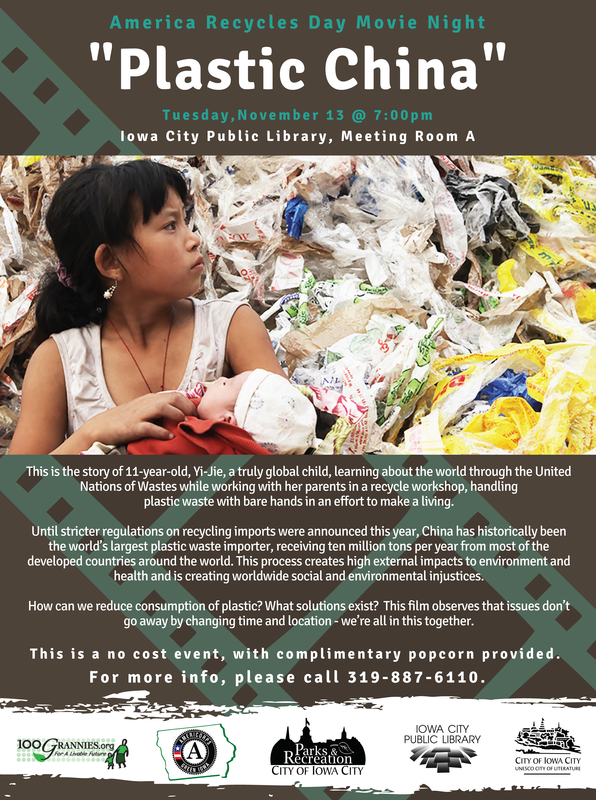 To mark America Recycles Day, come watch a free screening of the documentary "Plastic China." The movie will be shown at 7 p.m. on Tuesday, Nov. 13, 2018, in Room A of the Iowa City Public Library, 123 S. Linn St. Popcorn will be provided. RSVP to the Facebook event for updates.